This article is about ligands in biochemistry. For ligands in inorganic chemistry, see Ligand. For other uses, see Ligand (disambiguation). In biochemistry and pharmacology, a ligand is a substance that forms a complex with a biomolecule to serve a biological purpose. In protein-ligand binding, the ligand is usually a molecule which produces a signal by binding to a site on a target protein. The binding typically results in a change of conformational isomerism (conformation) of the target protein. In DNA-ligand binding studies, the ligand can be a small molecule, ion, or protein which binds to the DNA double helix. The relationship between ligand and binding partner is a function of charge, hydrophobicity, and molecular structure. The instance of binding occurs over an infinitesimal range of time and space, so the rate constant is usually a very small number. Binding occurs by intermolecular forces, such as ionic bonds, hydrogen bonds and Van der Waals forces. The association of docking is actually reversible through dissociation. Measurably irreversible covalent bonding between a ligand and target molecule is atypical in biological systems. In contrast to the definition of ligand in metalorganic and inorganic chemistry, in biochemistry it is ambiguous whether the ligand generally binds at a metal site, as is the case in hemoglobin. In general, the interpretation of ligand is contextual with regards to what sort of binding has been observed. The etymology stems from ligare, which means ‘to bind’. Ligand binding to a receptor protein alters the conformation by affecting the three-dimensional shape orientation. The conformation of a receptor protein composes the functional state. Ligands include substrates, inhibitors, activators, and neurotransmitters. The rate of binding is called affinity, and this measurement typifies a tendency or strength of the effect. Binding affinity is actualized not only by host–guest interactions, but also by solvent effects that can play a dominant, steric role which drives non-covalent binding in solution. The solvent provides a chemical environment for the ligand and receptor to adapt, and thus accept or reject each other as partners. The interaction of most ligands with their binding sites can be characterized in terms of a binding affinity. In general, high-affinity ligand binding results from greater intermolecular force between the ligand and its receptor while low-affinity ligand binding involves less intermolecular force between the ligand and its receptor. In general, high-affinity binding results in a higher degree of occupancy for the ligand at its receptor binding site than is the case for low-affinity binding; the residence time (lifetime of the receptor-ligand complex) does not correlate. High-affinity binding of ligands to receptors is often physiologically important when some of the binding energy can be used to cause a conformational change in the receptor, resulting in altered behavior of an associated ion channel or enzyme. A ligand that can bind to a receptor, alter the function of the receptor, and trigger a physiological response is called an agonist for that receptor. Agonist binding to a receptor can be characterized both in terms of how much physiological response can be triggered and in terms of the concentration of the agonist that is required to produce the physiological response. High-affinity ligand binding implies that a relatively low concentration of a ligand is adequate to maximally occupy a ligand-binding site and trigger a physiological response. The lower the Ki concentration is, the more likely there will be a chemical reaction between the pending ion and the receptive antigen. Low-affinity binding (high Ki level) implies that a relatively high concentration of a ligand is required before the binding site is maximally occupied and the maximum physiological response to the ligand is achieved. In the example shown to the right, two different ligands bind to the same receptor binding site. Only one of the agonists shown can maximally stimulate the receptor and, thus, can be defined as a full agonist. An agonist that can only partially activate the physiological response is called a partial agonist. In this example, the concentration at which the full agonist (red curve) can half-maximally activate the receptor is about 5 x 10−9 Molar (nM = nanomolar). Ligands that bind to a receptor but fail to activate the physiological response are receptor antagonists. Two ligands with different receptor binding affinity. In the example shown to the left, ligand-binding curves are shown for two ligands with different binding affinities. Ligand binding is often characterized in terms of the concentration of ligand at which half of the receptor binding sites are occupied, known as the IC50, which is related to but different from the dissociation constant. The ligand illustrated by the red curve has a higher binding affinity and smaller Kd than the ligand illustrated by the green curve. If these two ligands were present at the same time, more of the higher-affinity ligand would be bound to the available receptor binding sites. This is how carbon monoxide can compete with oxygen in binding to hemoglobin, resulting in carbon monoxide poisoning. Real-time based methods, which are often label-free, such as surface plasmon resonance, dual polarization interferometry and Multi-Parametric Surface Plasmon Resonance (MP-SPR) can not only quantify the affinity from concentration based assays; but also from the kinetics of association and dissociation, and in the later cases, the conformational change induced upon binding. MP-SPR also enables measurements in high saline dissociation buffers thanks to a unique optical setup. Microscale Thermophoresis (MST), an immobilization-free method was developed. This method allows the determination of the binding affinity without any limitation to the ligand’s molecular weight. on the configurational partition function. Binding affinity data alone does not determine the overall potency of a drug. Potency is a result of the complex interplay of both the binding affinity and the ligand efficacy. Ligand efficacy refers to the ability of the ligand to produce a biological response upon binding to the target receptor and the quantitative magnitude of this response. This response may be as an agonist, antagonist, or inverse agonist, depending on the physiological response produced. Selective ligands have a tendency to bind to very limited kinds of receptor, whereas non-selective ligands bind to several types of receptors. This plays an important role in pharmacology, where drugs that are non-selective tend to have more adverse effects, because they bind to several other receptors in addition to the one generating the desired effect. Bivalent ligands consist of two drug-like molecules (pharmacophores or ligands) connected by an inert linker. There are various kinds of bivalent ligands and are often classified based on what the pharmacophores target. Homobivalent ligands target two of the same receptor types. Heterobivalent ligands target two different receptor types. Bitopic ligands target an orthosteric binding sites and allosteric binding sites on the same receptor. In scientific research, bivalent ligands have been used to study receptor dimers and to investigate their properties. This class of ligands was pioneered by Philip S. Portoghese and coworkers while studying the opioid receptor system. Bivalent ligands were also reported early on by Micheal Conn and coworkers for the gonadotropin-releasing hormone receptor. Since these early reports, there have been many bivalent ligands reported for various G protein-coupled receptor (GPCR) systems including cannabinoid, serotonin, oxytocin, and melanocortin receptor systems, and for GPCR–LIC systems (D2 and nACh receptors). Bivalent ligands usually tend to be larger than their monovalent counterparts, and therefore, not ‘drug-like.’ (See Lipinski’s rule of five.) Many believe this limits their applicability in clinical settings. In spite of these beliefs, there have been many ligands that have reported successful pre-clinical animal studies. Given that some bivalent ligands can have many advantages compared to their monovalent counterparts (such as tissue selectivity, increased binding affinity, and increased potency or efficacy), bivalents may offer some clinical advantages as well. A privileged scaffold is a molecular framework or chemical moiety that is statistically recurrent among known drugs or among a specific array of biologically active compounds. These privileged elements can be used as a basis for designing new active biological compounds or compound libraries. The dramatically increased computing power of supercomputers and personal computers has made it possible to study protein–ligand interactions also by means of computational chemistry. For example, a worldwide grid of well over a million ordinary PCs was harnessed for cancer research in the project grid.org, which ended in April 2007. Grid.org has been succeeded by similar projects such as World Community Grid, Human Proteome Folding Project, Compute Against Cancer and Folding@Home. ^ Teif VB (October 2005). “Ligand-induced DNA condensation: choosing the model”. Biophysical Journal. 89 (4): 2574–87. Bibcode:2005BpJ….89.2574T. doi:10.1529/biophysj.105.063909. PMC 1366757. PMID 16085765. ^ Teif VB, Rippe K (October 2010). “Statistical-mechanical lattice models for protein-DNA binding in chromatin”. Journal of Physics: Condensed Matter. 22 (41): 414105. arXiv:1004.5514. Bibcode:2010JPCM…22O4105T. doi:10.1088/0953-8984/22/41/414105. PMID 21386588. ^ Baron R, Setny P, McCammon JA (September 2010). “Water in cavity-ligand recognition”. Journal of the American Chemical Society. 132 (34): 12091–7. doi:10.1021/ja1050082. PMC 2933114. PMID 20695475. Homologous competitive binding curves Archived 2007-12-19 at the Wayback Machine, A complete guide to nonlinear regression, curvefit.com. ^ Baaske P, Wienken CJ, Reineck P, Duhr S, Braun D (March 2010). “Optical thermophoresis for quantifying the buffer dependence of aptamer binding”. Angewandte Chemie. 49 (12): 2238–41. doi:10.1002/anie.200903998. PMID 20186894. Lay summary – Phsy.org (February 24, 2010). ^ Wienken CJ, Baaske P, Rothbauer U, Braun D, Duhr S (October 2010). “Protein-binding assays in biological liquids using microscale thermophoresis”. Nature Communications. 1 (7): 100. Bibcode:2010NatCo…1E.100W. doi:10.1038/ncomms1093. PMC 3186516. PMID 20981028. ^ Vu-Quoc, L., Configuration integral (statistical mechanics), 2008. this wiki site is down; see this article in the web archive on 2012 April 28. ^ Kenakin, Terrance P. (November 2006). A pharmacology primer: theory, applications, and methods. Academic Press. p. 79. ISBN 978-0-12-370599-0. ^ a b Matera, Carlo; Pucci, Luca; Fiorentini, Chiara; Fucile, Sergio; Missale, Cristina; Grazioso, Giovanni; Clementi, Francesco; Zoli, Michele; De Amici, Marco (2015-08-28). “Bifunctional compounds targeting both D2 and non-α7 nACh receptors: Design, synthesis and pharmacological characterization”. European Journal of Medicinal Chemistry. 101: 367–383. doi:10.1016/j.ejmech.2015.06.039. ^ Matera, Carlo; Flammini, Lisa; Quadri, Marta; Vivo, Valentina; Ballabeni, Vigilio; Holzgrabe, Ulrike; Mohr, Klaus; De Amici, Marco; Barocelli, Elisabetta (2014-03-21). “Bis(ammonio)alkane-type agonists of muscarinic acetylcholine receptors: Synthesis, in vitro functional characterization, and in vivo evaluation of their analgesic activity”. European Journal of Medicinal Chemistry. 75: 222–232. doi:10.1016/j.ejmech.2014.01.032. ^ Erez M, Takemori AE, Portoghese PS (July 1982). “Narcotic antagonistic potency of bivalent ligands which contain beta-naltrexamine. Evidence for bridging between proximal recognition sites”. Journal of Medicinal Chemistry. 25 (7): 847–9. doi:10.1021/jm00349a016. PMID 7108900. ^ Portoghese PS, Ronsisvalle G, Larson DL, Yim CB, Sayre LM, Takemori AE (1982). “Opioid agonist and antagonist bivalent ligands as receptor probes”. Life Sciences. 31 (12–13): 1283–6. doi:10.1016/0024-3205(82)90362-9. PMID 6292615. ^ Portoghese PS, Akgün E, Lunzer MM (January 2017). “Heteromer Induction: An Approach to Unique Pharmacology?”. ACS Chemical Neuroscience. 8: 426–428. doi:10.1021/acschemneuro.7b00002. PMID 28139906. ^ Blum JJ, Conn PM (December 1982). “Gonadotropin-releasing hormone stimulation of luteinizing hormone release: A ligand-receptor-effector model”. Proceedings of the National Academy of Sciences of the United States of America. 79 (23): 7307–11. Bibcode:1982PNAS…79.7307B. doi:10.1073/pnas.79.23.7307. JSTOR 13076. PMC 347328. PMID 6296828. ^ Conn PM, Rogers DC, Stewart JM, Niedel J, Sheffield T (April 1982). “Conversion of a gonadotropin-releasing hormone antagonist to an agonist”. Nature. 296 (5858): 653–5. Bibcode:1982Natur.296..653C. doi:10.1038/296653a0. PMID 6280058. ^ Nimczick M, Pemp D, Darras FH, Chen X, Heilmann J, Decker M (August 2014). “Synthesis and biological evaluation of bivalent cannabinoid receptor ligands based on hCB₂R selective benzimidazoles reveal unexpected intrinsic properties”. Bioorganic & Medicinal Chemistry. 22 (15): 3938–46. doi:10.1016/j.bmc.2014.06.008. PMID 24984935. ^ Russo O, Berthouze M, Giner M, Soulier JL, Rivail L, Sicsic S, Lezoualc’h F, Jockers R, Berque-Bestel I (September 2007). “Synthesis of specific bivalent probes that functionally interact with 5-HT(4) receptor dimers”. Journal of Medicinal Chemistry. 50 (18): 4482–92. doi:10.1021/jm070552t. PMID 17676726. ^ Soulier JL, Russo O, Giner M, Rivail L, Berthouze M, Ongeri S, Maigret B, Fischmeister R, Lezoualc’h F, Sicsic S, Berque-Bestel I (October 2005). “Design and synthesis of specific probes for human 5-HT4 receptor dimerization studies”. Journal of Medicinal Chemistry. 48 (20): 6220–8. doi:10.1021/jm050234z. PMID 16190749. ^ a b Busnelli M, Kleinau G, Muttenthaler M, Stoev S, Manning M, Bibic L, Howell LA, McCormick PJ, Di Lascio S, Braida D, Sala M, Rovati GE, Bellini T, Chini B (August 2016). “Design and Characterization of Superpotent Bivalent Ligands Targeting Oxytocin Receptor Dimers via a Channel-Like Structure”. Journal of Medicinal Chemistry. 59 (15): 7152–66. doi:10.1021/acs.jmedchem.6b00564. PMID 27420737. ^ Lensing CJ, Adank DN, Wilber SL, Freeman KT, Schnell SM, Speth RC, Zarth AT, Haskell-Luevano C (February 2017). “A Direct in Vivo Comparison of the Melanocortin Monovalent Agonist Ac-His-DPhe-Arg-Trp-NH2 versus the Bivalent Agonist Ac-His-DPhe-Arg-Trp-PEDG20-His-DPhe-Arg-Trp-NH2: A Bivalent Advantage”. ACS Chemical Neuroscience. 8: 1262–1278. doi:10.1021/acschemneuro.6b00399. PMC 5679024. PMID 28128928. ^ a b Xu L, Josan JS, Vagner J, Caplan MR, Hruby VJ, Mash EA, Lynch RM, Morse DL, Gillies RJ (December 2012). “Heterobivalent ligands target cell-surface receptor combinations in vivo”. Proceedings of the National Academy of Sciences of the United States of America. 109 (52): 21295–300. Bibcode:2012PNAS..10921295X. doi:10.1073/pnas.1211762109. JSTOR 42553664. PMC 3535626. PMID 23236171. ^ a b Lensing CJ, Freeman KT, Schnell SM, Adank DN, Speth RC, Haskell-Luevano C (April 2016). “An in Vitro and in Vivo Investigation of Bivalent Ligands That Display Preferential Binding and Functional Activity for Different Melanocortin Receptor Homodimers”. Journal of Medicinal Chemistry. 59 (7): 3112–28. doi:10.1021/acs.jmedchem.5b01894. PMC 5679017. PMID 26959173. ^ Shonberg J, Scammells PJ, Capuano B (June 2011). “Design strategies for bivalent ligands targeting GPCRs”. ChemMedChem. 6 (6): 963–74. doi:10.1002/cmdc.201100101. PMID 21520422. ^ Berque-Bestel I, Lezoualc’h F, Jockers R (December 2008). “Bivalent ligands as specific pharmacological tools for G protein-coupled receptor dimers”. Current Drug Discovery Technologies. 5 (4): 312–8. doi:10.2174/157016308786733591. PMID 19075611. ^ Akgün E, Javed MI, Lunzer MM, Powers MD, Sham YY, Watanabe Y, Portoghese PS (November 2015). “Inhibition of Inflammatory and Neuropathic Pain by Targeting a Mu Opioid Receptor/Chemokine Receptor5 Heteromer (MOR-CCR5)”. Journal of Medicinal Chemistry. 58 (21): 8647–57. doi:10.1021/acs.jmedchem.5b01245. PMC 5055304. PMID 26451468. ^ Daniels DJ, Lenard NR, Etienne CL, Law PY, Roerig SC, Portoghese PS (December 2005). “Opioid-induced tolerance and dependence in mice is modulated by the distance between pharmacophores in a bivalent ligand series”. Proceedings of the National Academy of Sciences of the United States of America. 102 (52): 19208–13. Bibcode:2005PNAS..10219208D. doi:10.1073/pnas.0506627102. JSTOR 4152590. PMC 1323165. PMID 16365317. ^ Smeester BA, Lunzer MM, Akgün E, Beitz AJ, Portoghese PS (November 2014). “Targeting putative mu opioid/metabotropic glutamate receptor-5 heteromers produces potent antinociception in a chronic murine bone cancer model”. European Journal of Pharmacology. 743: 48–52. doi:10.1016/j.ejphar.2014.09.008. PMC 4259840. PMID 25239072. ^ Welsch ME, Snyder SA, Stockwell BR (June 2010). “Privileged scaffolds for library design and drug discovery”. Current Opinion in Chemical Biology. 14 (3): 347–61. doi:10.1016/j.cbpa.2010.02.018. PMC 2908274. PMID 20303320. ^ Kombarov R, Altieri A, Genis D, Kirpichenok M, Kochubey V, Rakitina N, Titarenko Z (February 2010). “BioCores: identification of a drug/natural product-based privileged structural motif for small-molecule lead discovery”. Molecular Diversity. 14 (1): 193–200. doi:10.1007/s11030-009-9157-5. PMID 19468851. 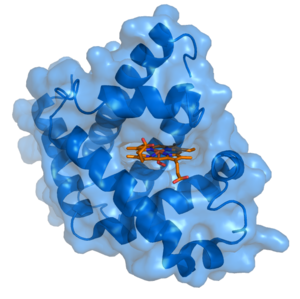 BioLiP, a comprehensive database for ligand-protein interactions.